What’s the difference Between Ethereum, Ether, and ETH? - Coinfomania Coinfomania: Where blockchain and cryptos live. For those who are still new to the cryptocurrency industry, it can be a little difficult to tell the difference between Ethereum, Ether, and ETH vividly. And although no one would punish you for not being able to differentiate them, you would be better off if you gain a clear picture of it now, so that you don’t sound like a noob in your next crypto conversation. Here’s the difference between these three elements. Ethereum is a blockchain platform that allows developers to create decentralized applications. Decentralized applications are software maintained by a pool of users rather than a single entity such as Facebook. 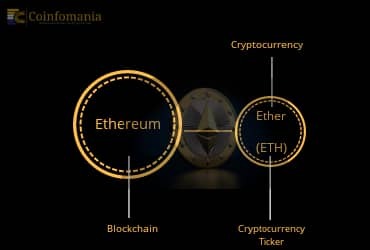 Ether is a cryptocurrency that allows developers to gain access to premium features of the Ethereum blockchain which they need to create their decentralized applications. You can think of it as a native currency which serves as a means of exchange for goods and services in your country. Without a native currency, it would be difficult to buy or sell your products. Can those who do not buy or sell also hold native currency? Yes. Ether’s existence as a cryptocurrency means that even those who are not developers on the Ethereum blockchain can hold it or use it a means of exchange and trade. You will classify Ether in the same way as Bitcoin (BTC), Litecoin (LTC), and the thousands of cryptocurrencies currently in existence. Let this be the main difference you’ll remember – You can buy and sell Ether, but you can’t buy or sell Ethereum. 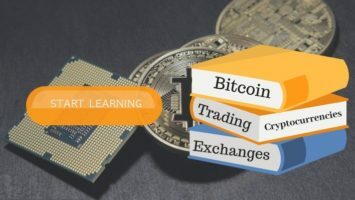 Suggested read: What is cryptocurrency? Well, “ETH” is a ticker symbol for the Ether cryptocurrency. A ticker symbol is a unique abbreviation used to identify a currency or tradable stock. Just as you have USD for United States Dollar, GPB for British Pound, and JPY for Japanese Yen, we also use ETH for Ether. Now that wasn’t hard or was it? The diagram below illustrates the relationship between Ethereum, Ether, and ETH. 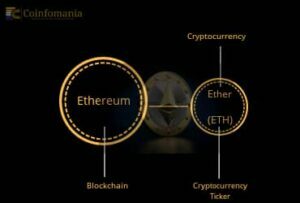 The difference between Ethereum, Ether, and ETH is really not hard to figure out if you review the content of this article. So the next time you speak or write about the three elements, show some authority by not confusing one for the other.